The Dermapen Cryo™ cryotherapy allows us to remove unsightly skin lesions in a matter of seconds. The device uses a very precise jet of highly compressed liquefied nitrous oxide (N2O) to destroy benign lesions such as warts, skin tags and age spots. The Cryo™ freezes the lesion’s inter-cellular fluid, forming ice crystals, which subsequently rupture the cell membrane, destroying the cell. In practice, the Dermapen Cryo™ is able to penetrate up to 1 mm per 5 seconds of application, making it an extremely versatile machine, treating anything from extremely superficial sun spots to lesions up to 5 mm in depth. The high precision applicator tips allow for a precisely targeted treatment, ensuring that only the lesion is being treated and not the healthy skin/tissue around it. This helps to greatly reduce the risk of post-treatment hypo-pigmentation and makes the Dermapen Cryo™ safe for all areas of the face and body, even near the eyes. 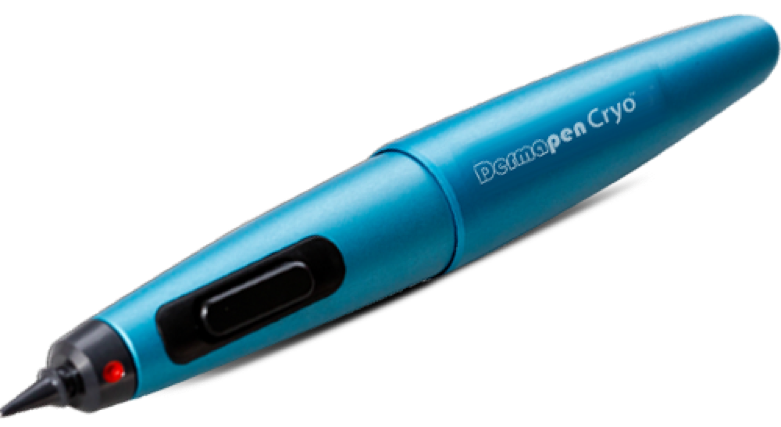 The Dermapen Cryo™ does not rely on contact with the skin to be effective, meaning no messy buds, cones or apertures. There is also no need for maintenance, no refilling canisters and no preparation needed to use the device. 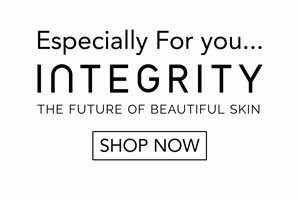 All in all, the Dermapen Cryo™ is convenient, safe and effective, making it the best-suited cryosurgery device for the most aesthetically conscious.